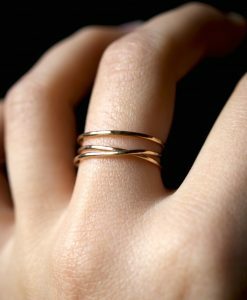 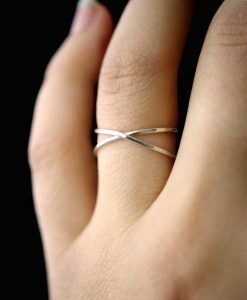 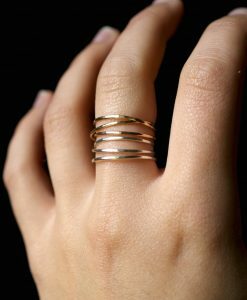 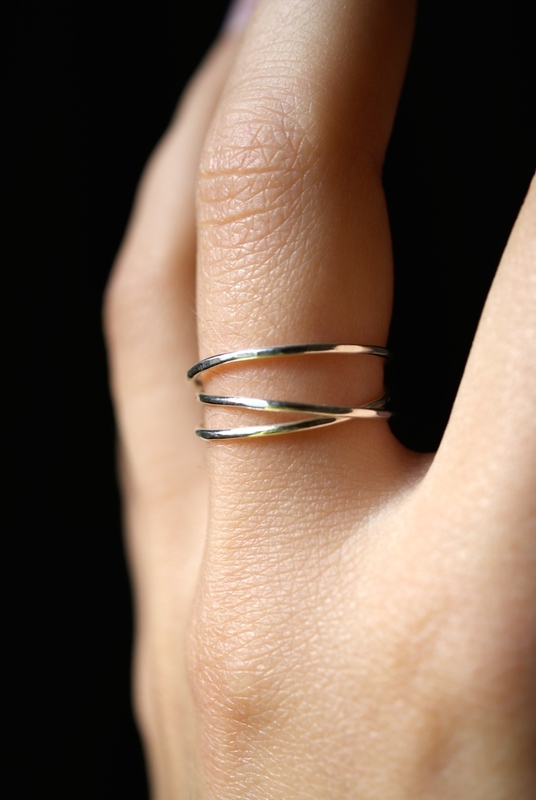 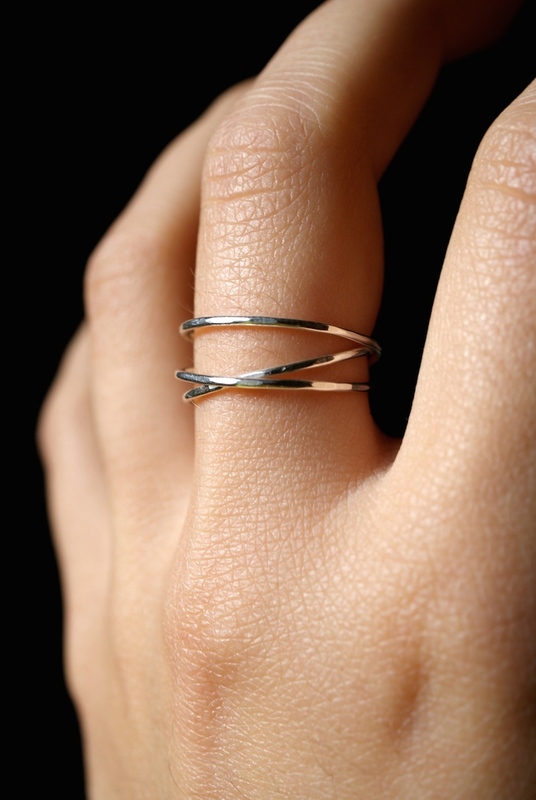 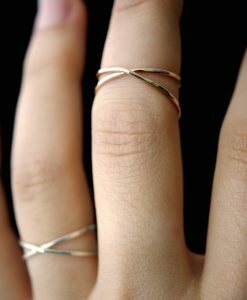 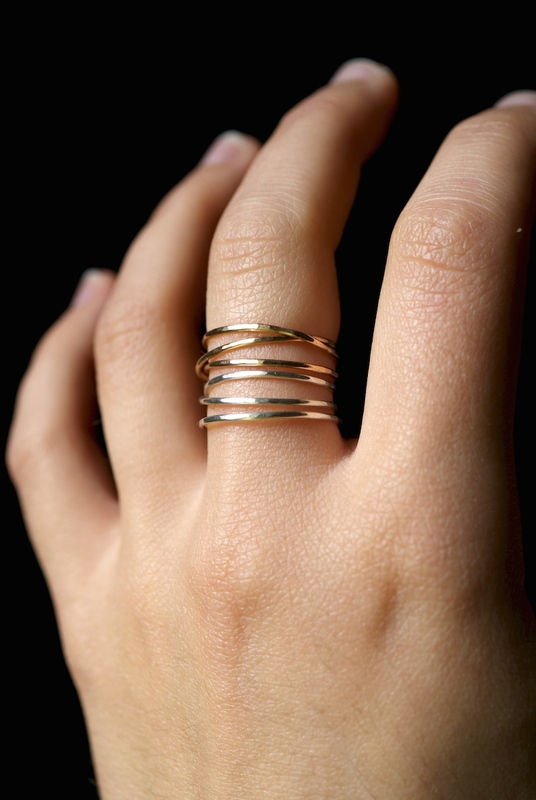 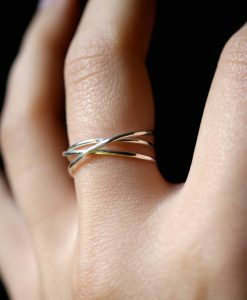 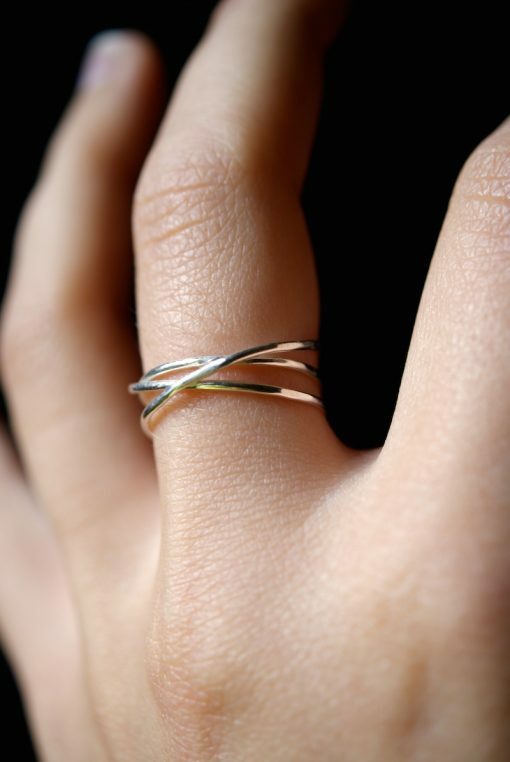 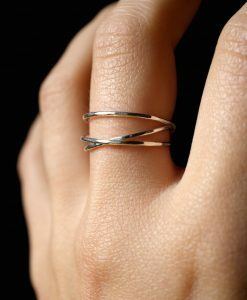 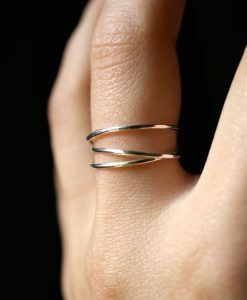 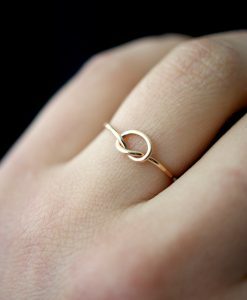 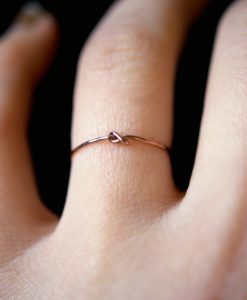 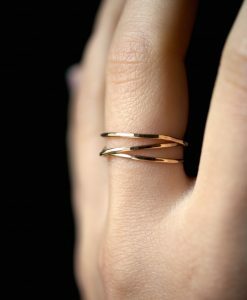 This is a gorgeous, trend-setting ring made of thin, lightly hammered sterling silver wire. 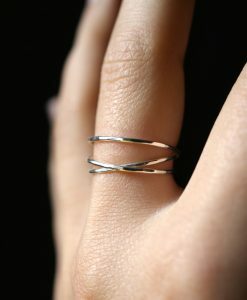 I wrap a length of silver around three times and securely solder it around back. 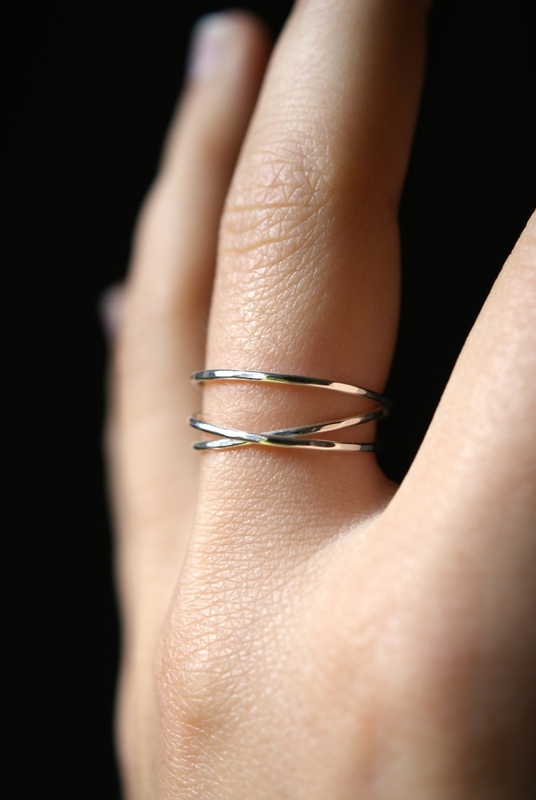 Then I lightly hammered the ring for a bright, reflective shine. 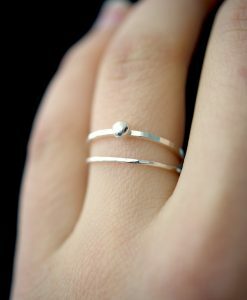 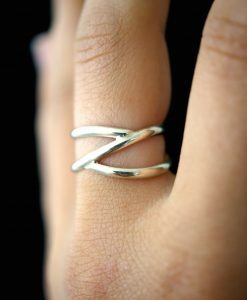 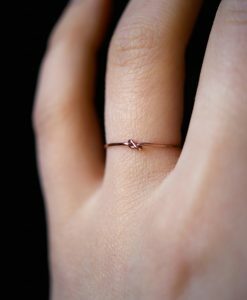 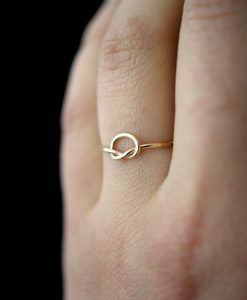 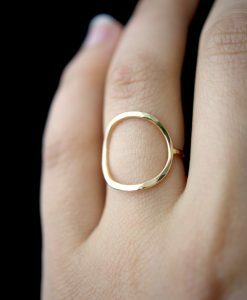 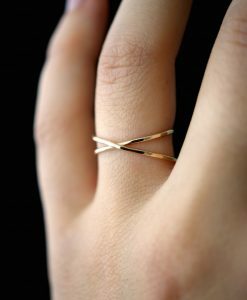 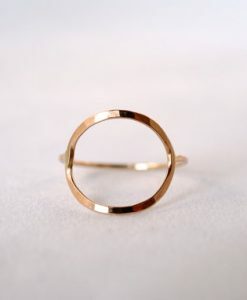 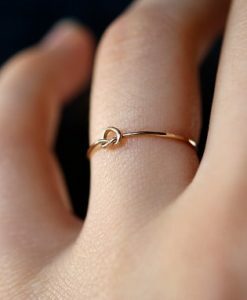 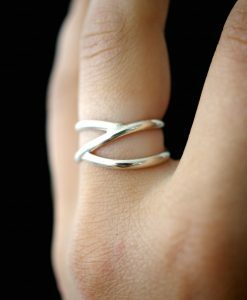 This listing is for ONE SINGLE Wraparound ring in STERLING SILVER. 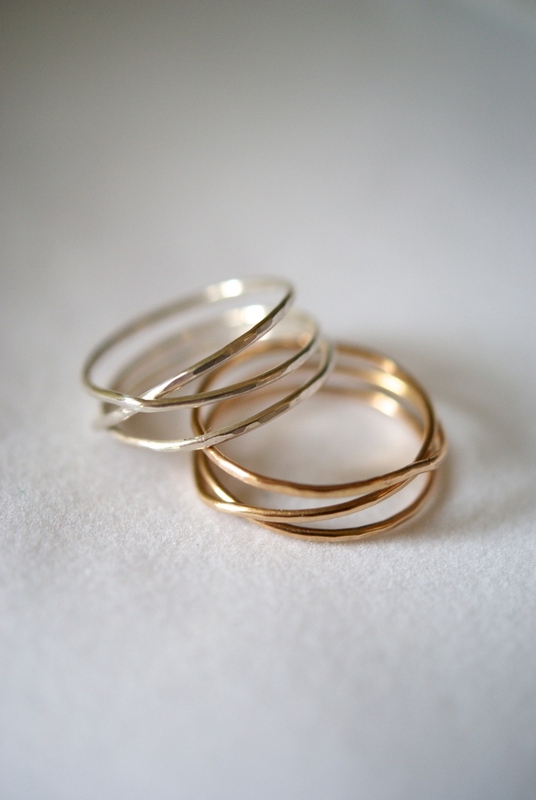 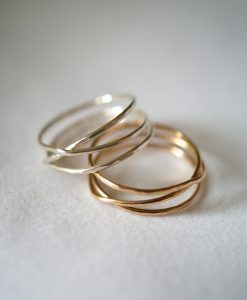 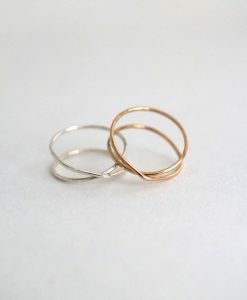 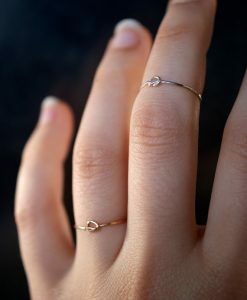 Please note that the last two images show two wraparound rings stacked together (one silver, one gold).